Having a family member enter addiction treatment usually brings a great sense of relief—but relief mixed with anxiety about whether it’ll “work,” what state your loved one will come home in, and whether the person will relapse after finishing treatment. If this is someone who’s been in rehab before, only to drop out prematurely or drop back into using within weeks, anxiety will be even stronger. As a loved one and a member of the household, you share responsibility in your relative’s sobriety support network. Assuming you want to do everything you can, and especially if a former rehab attempt ended with everything returning to “normal” in the worst sense, memorize the following tips. Warning: following this advice may prove hazardous to your comfort zones. The first rule: don’t expect professional treatment to solve all YOUR problems by “curing” the addiction single-handedly. Join your family member in long-term counseling and support groups. The actual addict is never the whole problem. Chances are everyone in the household has been encouraging the situation, in ways that won’t be easy to face up to. —including wine and beer, no matter how much you hate giving up your own nightly glass. If anyone requires a prescription for opioid painkillers or another potentially addictive medication, keep it out of the recovering family member’s sight. It doesn’t matter if these substances weren’t involved in the original problem: many addicts “relapse” into using alternate substances. In case of extended-family events where intoxicating substances are likely to be served, have a serious discussion with the recovering addict before anyone accepts. If there are justified doubts about ability to resist temptation, some or all of the others should opt out, or help the addict find an alternate place to enjoy the evening. (Sitting home alone, brooding over “missing out,” is a recipe for relapse.) If the recovering family member does go to the event, have him or her choose a “support partner” to avoid the bar with. 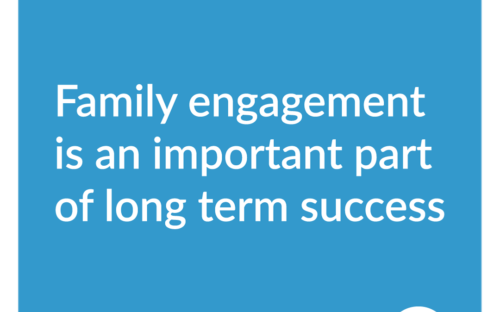 Keep family communications open and honest at all times. especially in the first few months. Be willing to take some of the stress on yourself if need be. Of course this has been hard on you too, and you definitely need extra self-care; but bite your tongue if you hate to see your relative take an income cut that lowers your standard of living. It will only cause more trouble if you try to decide which parts of the “old life” are worth keeping. —inside or outside the family—teasing your relative about the problem, or making derogatory remarks about addicts in general. Don’t go out of your way to hide the problem from others, either. Make a united stand against stigma and shame.